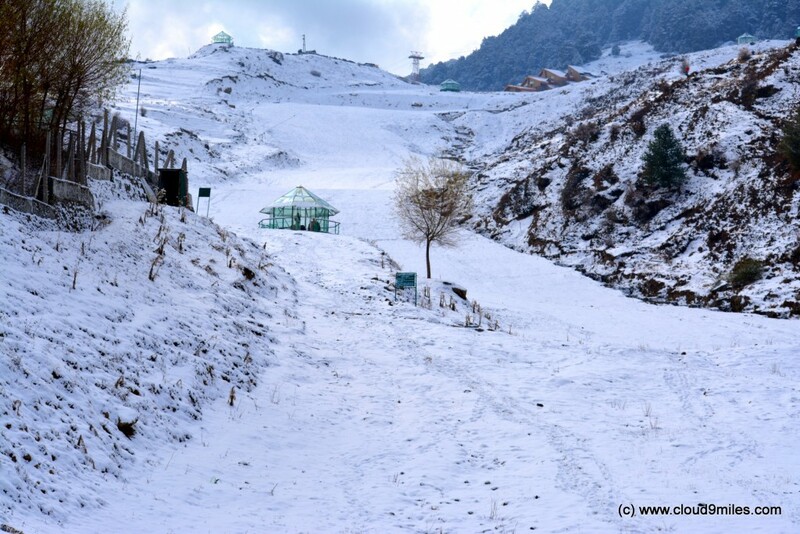 Auli is an important ski destination in the Himalayan Mountains of Uttarakhand, India. 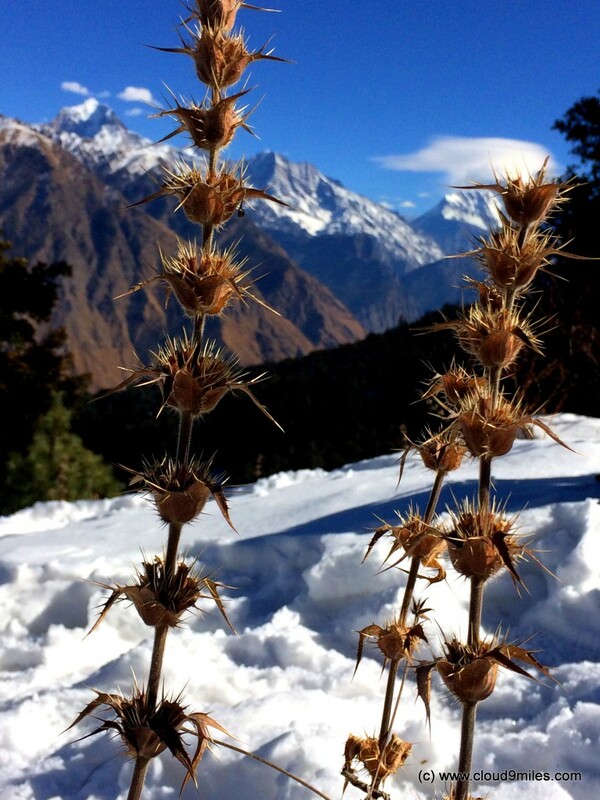 It is also known as ‘Auli Bugyal’ in regional language which means meadow. 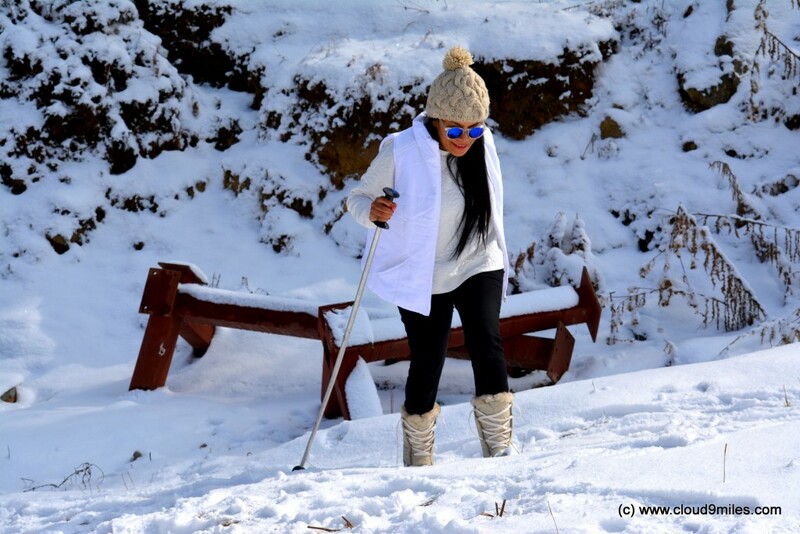 Auli is less known ski destination than Shimla, Gulmarg or Manali but is considered as the best ski destination in India covering an elevation from 2,519 meters to 3050 meters. 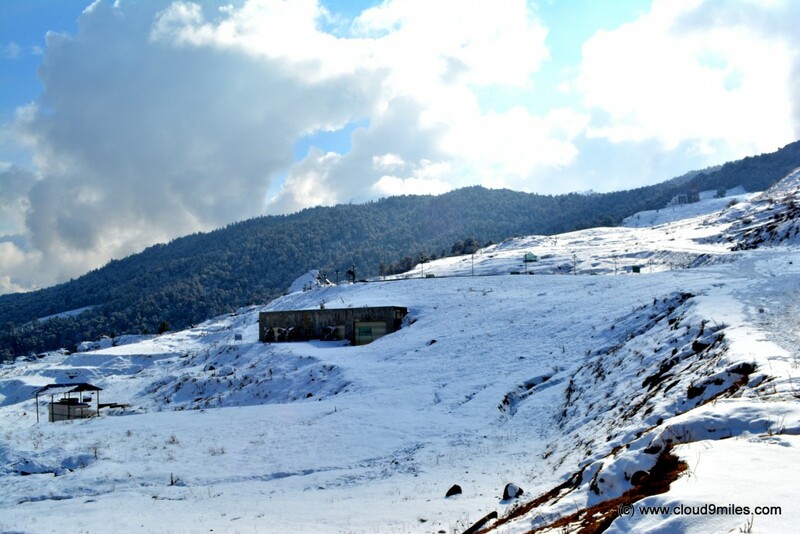 It is often compared with the best ski resorts in the world and also has hosted the first SAF winter games in 2011. 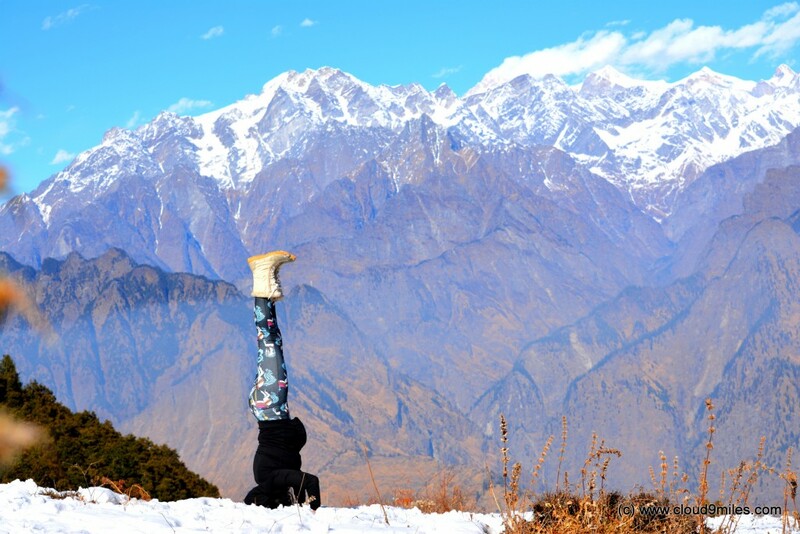 It was only in the recent time, after the creation of new state Uttarakhand carved out from Uttar Pradesh, Auli was marketed as Tourist Destination. 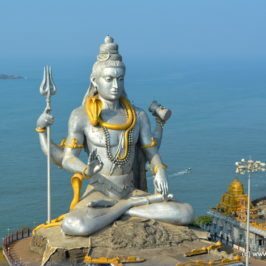 The state is called “Dev Bhoomi” which means “Land of Gods” as there are important pilgrimage destinations in this state mainly the ‘CHAR DHAM’ (Gangotri-Yamunotri-Kedarnath-Badrinath). 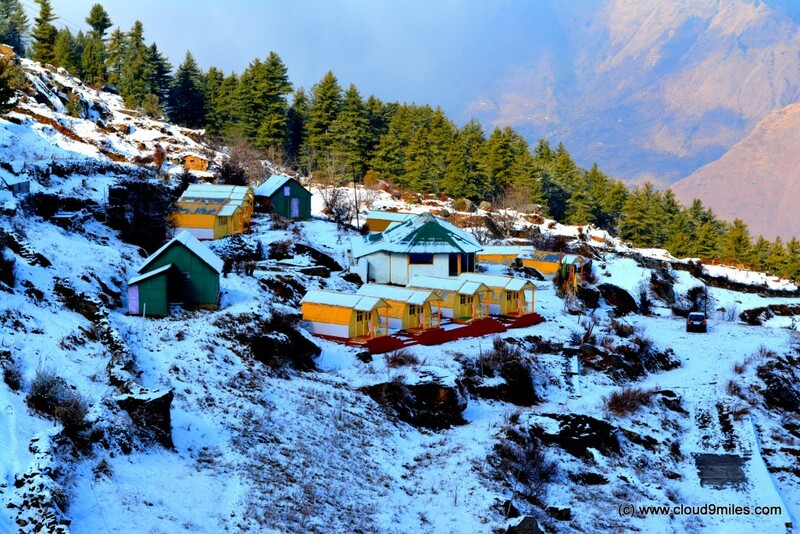 Auli lies on the way to Badrinath and is surrounded by coniferous and oak forests, with a panoramic view of the lofty peaks of one of the greatest mountain range in the world, the Himalayas. 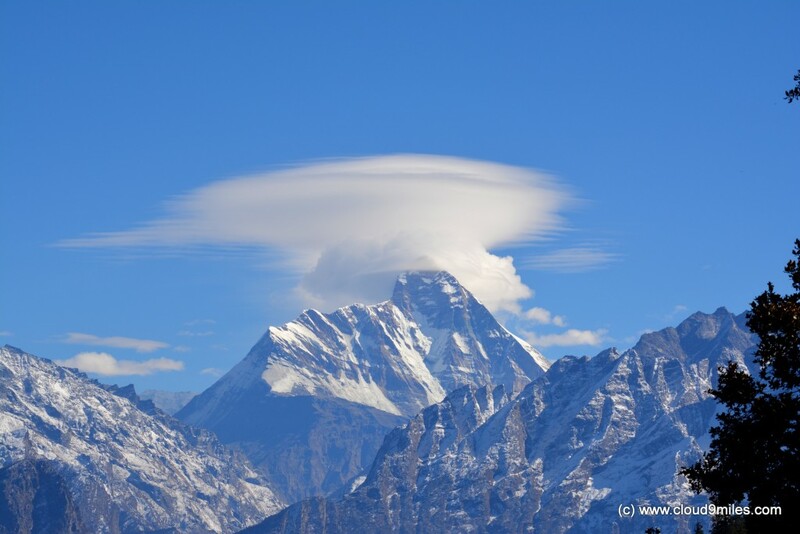 Amongst the peak one that stands out is the beautiful Mt Nanda Devi Peak which stands at 7,817 mts (second highest peak in India). 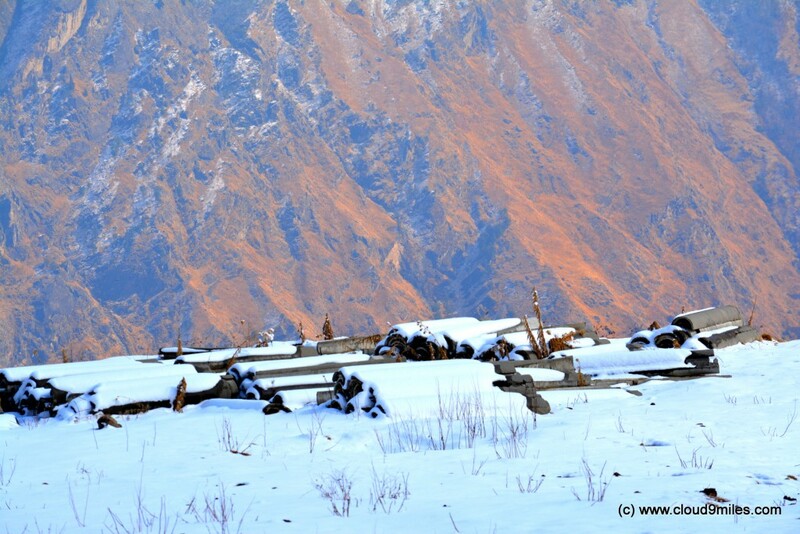 We had covered pristine beach locations in India and this time we wanted to cover Himalayan range and witness snow. 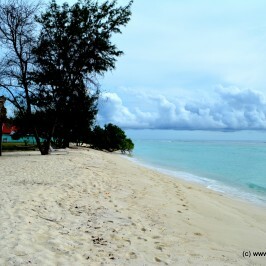 We also wanted to cover a destination that is lesser known and more beautiful than others. 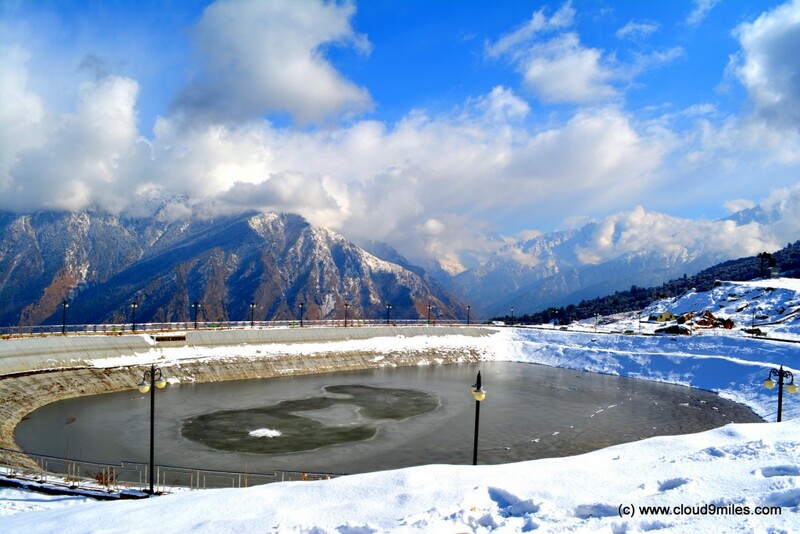 We finally decided for “Auli” and pre-planned our trip in advance for the last week of December. We planned for 3 nights stay at Auli and 2 nights at Joshimath (one each before and after Auli visit) because of an arduous journey. By far this is the toughest tour that we have planned to test our endurance by travelling through tough terrains in winter. An adventurous travel without the comfort of our car but via train, bus, and cable car to reach our destination. We were travelling to a place with temperature below Zero degrees. Before packing our bags we did some necessary preparations for our trip in Mumbai itself. We boarded the train from Mumbai to Delhi where we spent few days with our family members before starting our trip. Finally, the most anticipated day for us has arrived and we started our journey towards Auli. We travelled from New Delhi to Haridwar by train with a very demanding timeline – remember it was winter season at its peak. The train departed on time at 11:50 pm and reached Haridwar at 4:00 a.m. We straight away moved towards bus stand which is at a walk able distance from railway station. We had already done online booking for State Transport Bus (UTC) but to our utter surprise the bus stand had a chaotic system and no one was available for assistance. After enquiring few people we got the information that the bus is not in the depot and there is no possibility that it will plight for the day. We straight away moved to private bus operator and boarded the bus that was scheduled to depart at 6:00 am. Private buses are easily available and we would suggest to directly board private buses which starts early in the morning. We immediately cancelled our return ticket booked via UTC and decided to travel through private bus. 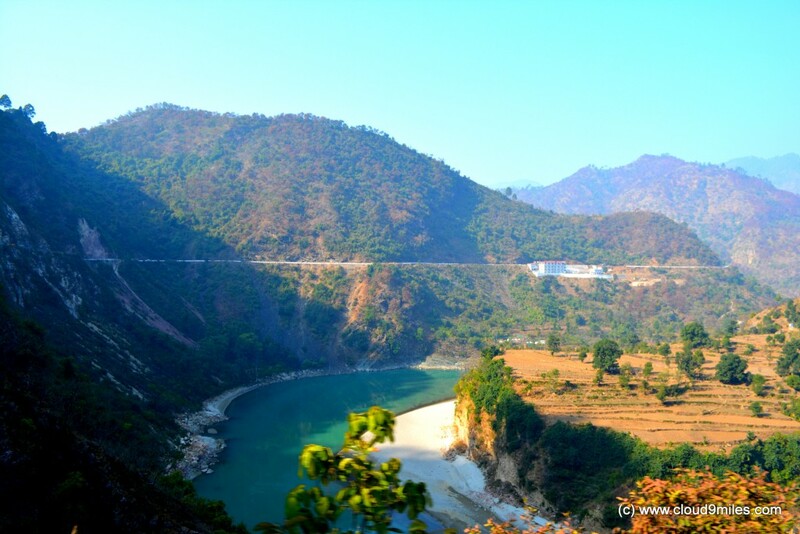 During initial phases of journey the highway was following the great river Ganges and it was an amazing sight. 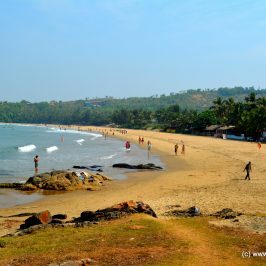 The green coloured water with white sand banks along the river reminded us of our beach destinations. 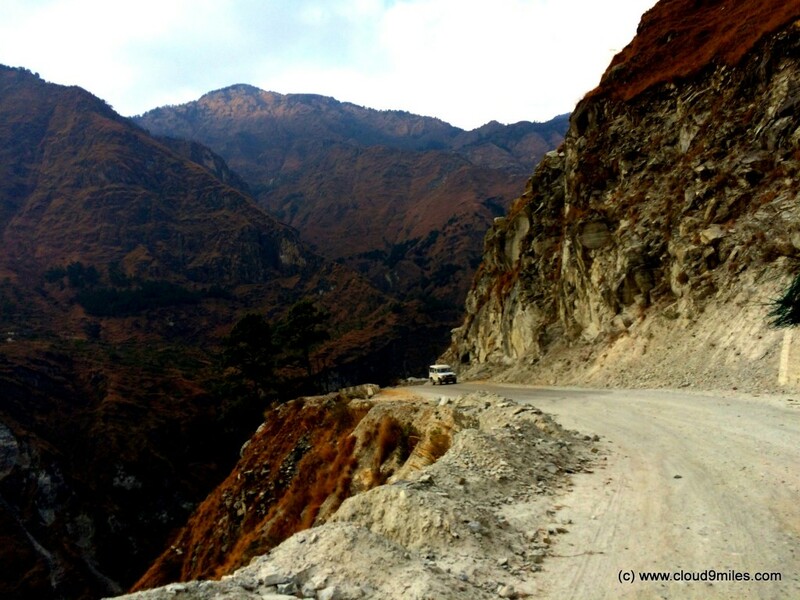 Afterwards, the highway accompanied river Alaknanda till Joshimath. The road journey was comfortable till Srinagar, after which there were many rough patches in between where the roads were not at all visible due to landslides. Road signs were marked in those places which were highly prone to landslides. 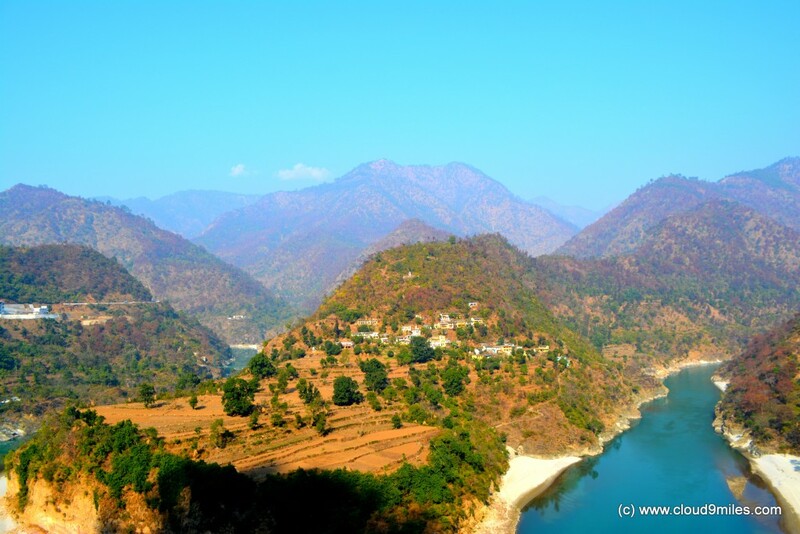 Nonetheless the beauty of Himalaya, Ganges, & Alaknanda supersedes every hurdle. The most worrying part during our journey was sight of snow clad mountains. 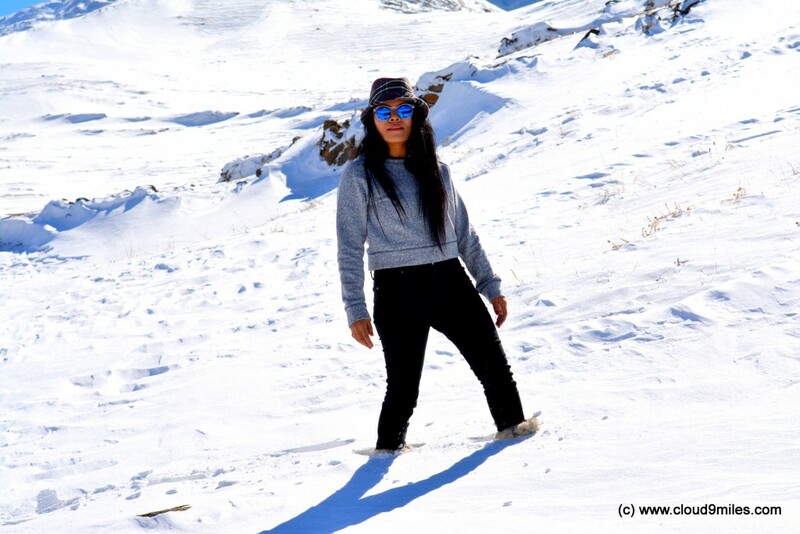 Our eyes kept searching for snow clad mountains while ascending the hills and the more nearer we came to our destination the more agonising it became. We only managed to saw few mountains with snow and our hope to witness snow was slowly receding. We had made up our mind that come what may we will not go back without fulfilling our wish even if we need to trek for it. 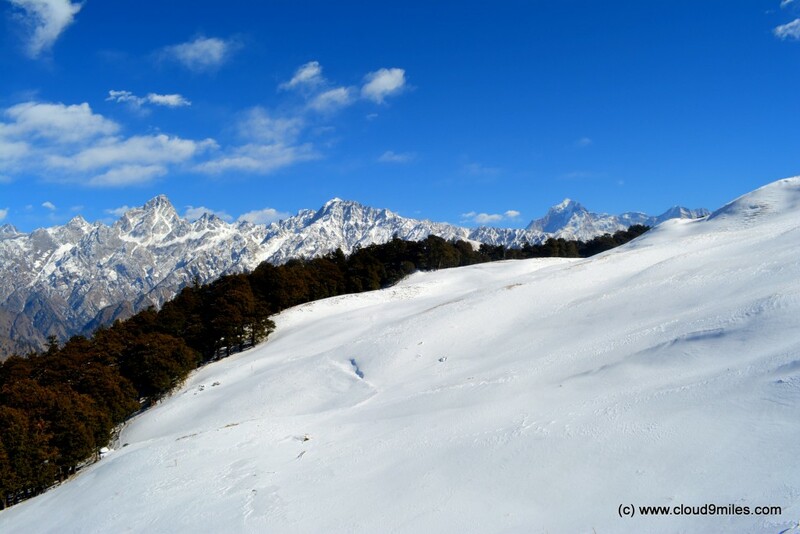 Since we were staying for 5 days in Joshimath and Auli combined together had kept our hope alive. We reached Josimath at 5 pm and straight away went to GMVN (Garhwal Mandal Vikas Nigam) Tourist rest house and booked a room. 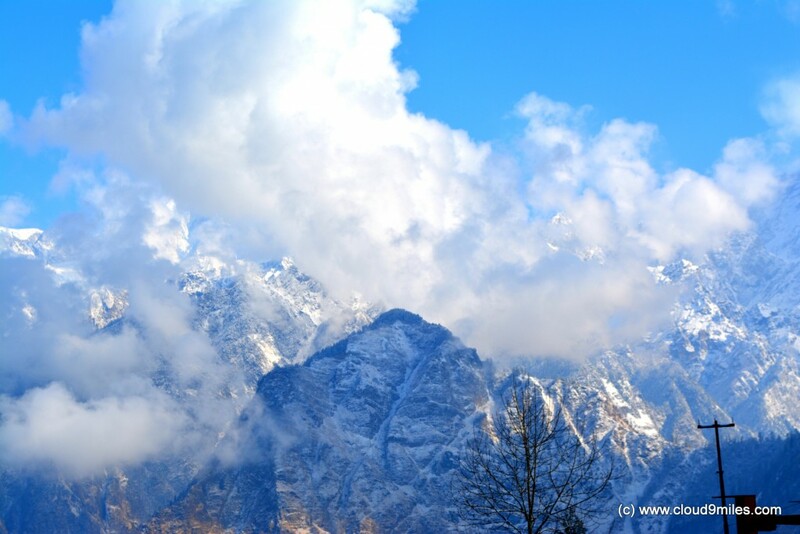 By that time we saw cloud covers over Joshimath and enquired about location of Auli as well as possibility of snow. 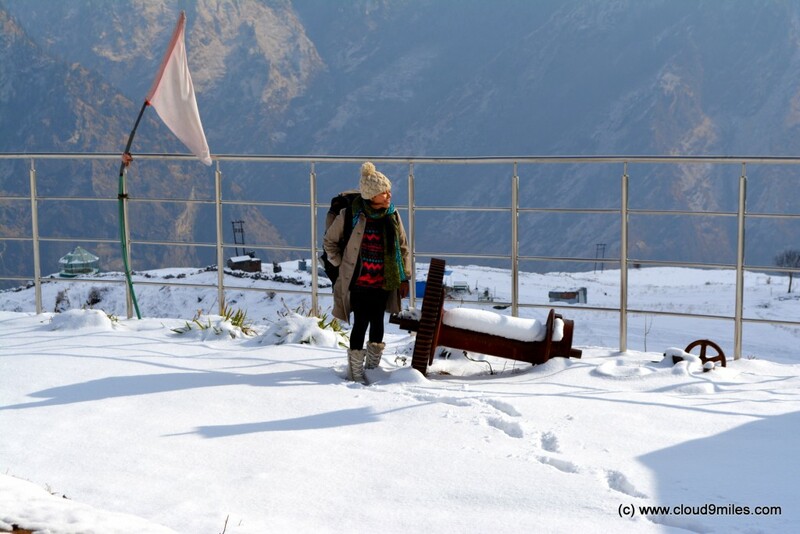 We were relieved by hearing that we would be able to witness snow at Auli. We were also monitoring the weather prediction through our phone and snow showers were predicted overnight. 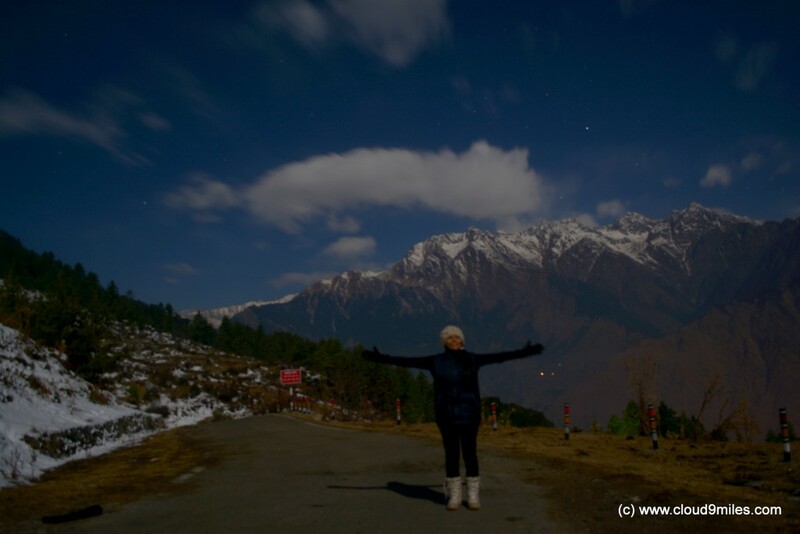 We roamed around in Joshimath and it started drizzling by 7 pm and locals confirmed that Auli is witnessing snow showers. It seemed that weather gods were in our favour and they also did not want us to go back empty handed. Joshimath is a small town and market closes early. We searched for few restaurants and finally settled for a Marwari hotel and had our dinner over there. 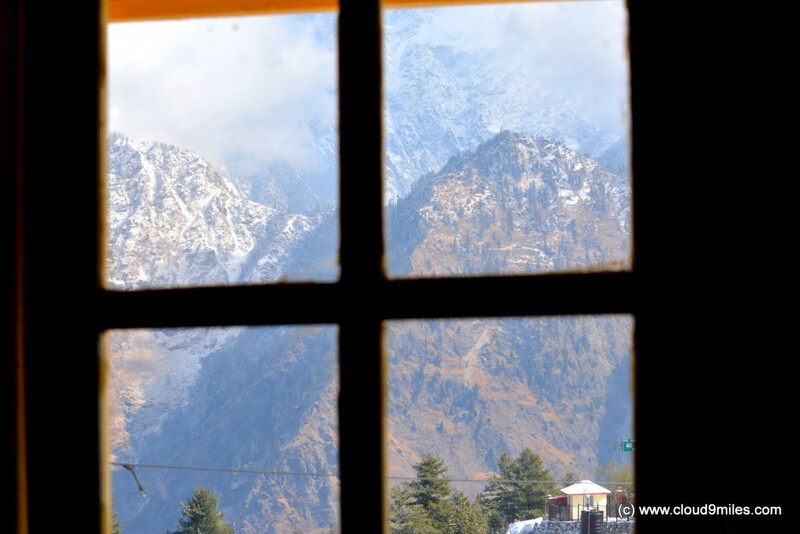 We retired to bed as we had to wake up early next day to catch the first cable car to Auli. We went for an early morning walk and were delighted after seeing snow clad trees and mountain on the backdrop. This is what was needed for the final push and we were all set to explore Auli. With great vigour we reached Ropeway base terminal and bought the ticket inclusive of return journey. The cable car runs at fixed interval during the day and the last cable car runs at 4:00 pm. 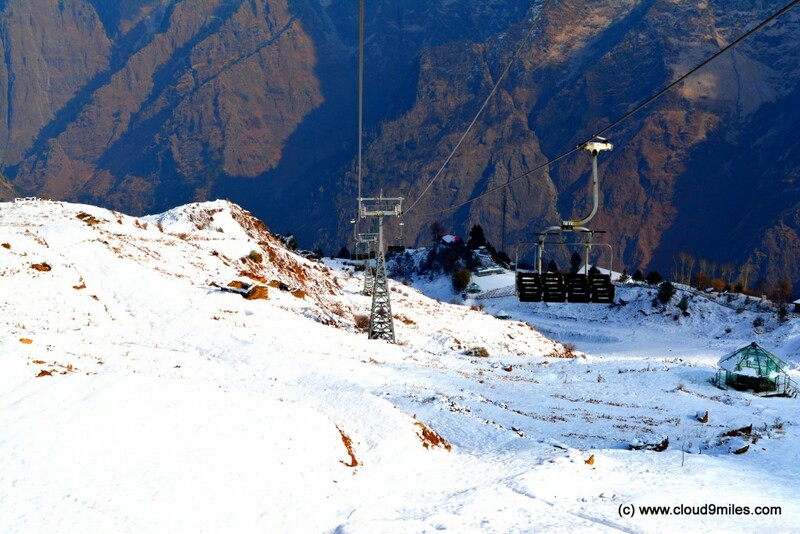 Auli boasts of the longest cable car in Asia covering a distance of 4 KM and is amongst the highest in the world as well. It also has a chair lift and ski lift. The ropeway has 10 towers with the first at an altitude of 1906 mts and last at an altitude of 3016 mts thereby covering an ascent of 1110 mts in 25 minutes. 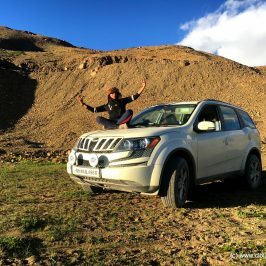 We took the first car of the day at 9:50 am and the moment car started it’s ascend we started glaring with awe at the enchanting Himalayas. By the time the car crossed third tower we started seeing signs of snow. 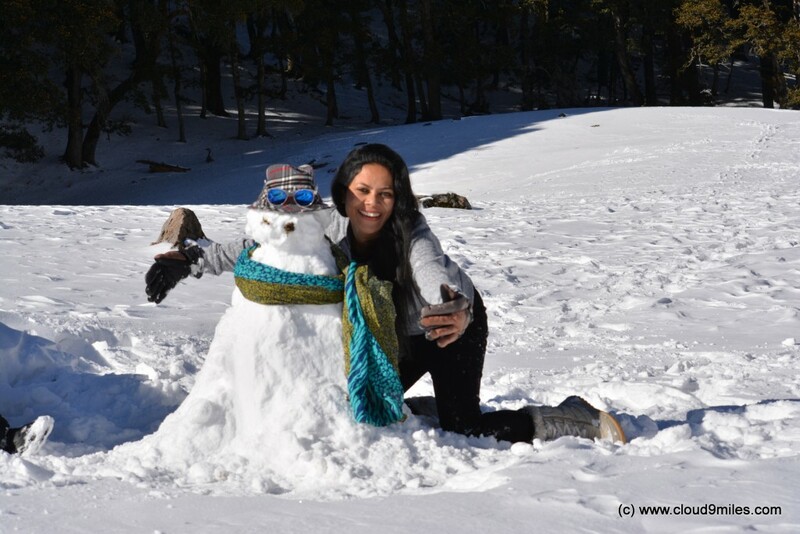 Shree was more ecstatic with the sight of snow as this was her first experience. 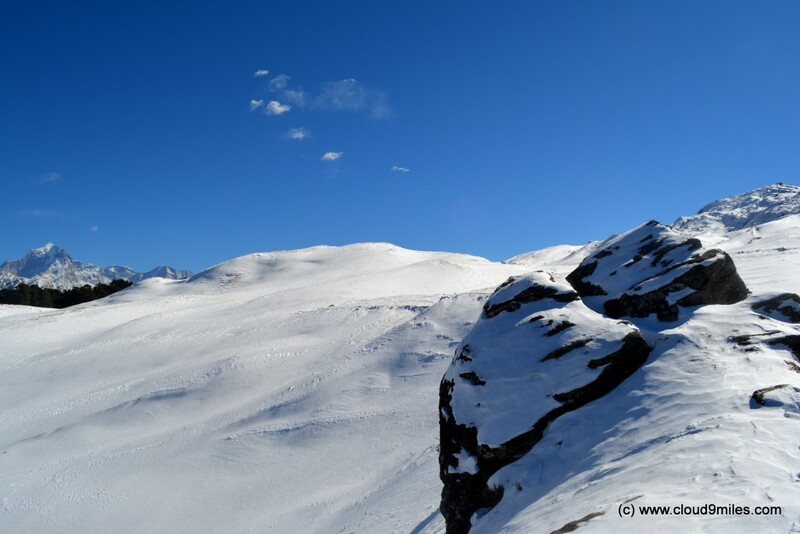 The terrain slowly started turning white and we were thankful to nature for such a wonderful sight. 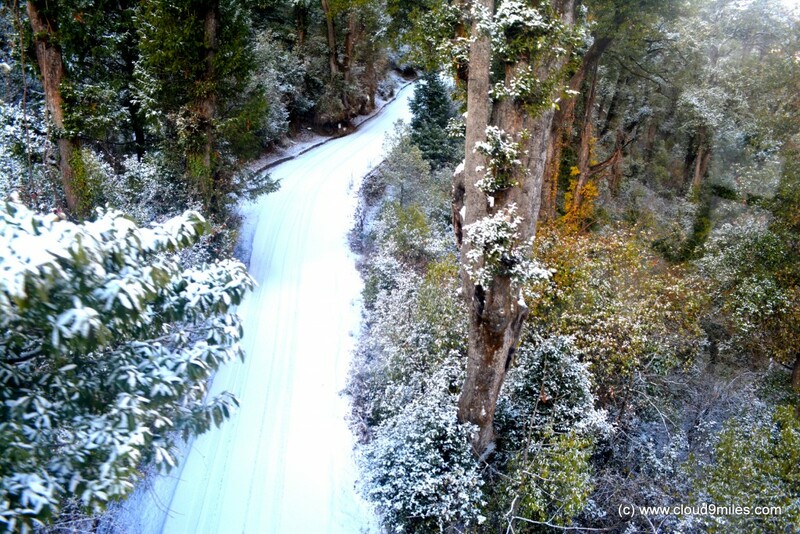 Fresh snow has covered pine, oak trees, and roads which were a wonderful gift of nature. The more we moved upward the white carpet became more prominent. 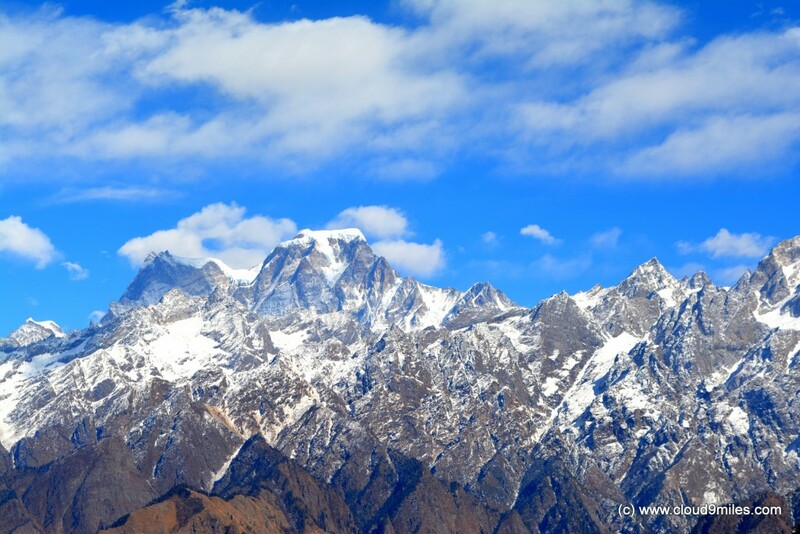 The sight of various peaks of mighty Himalaya was simply majestic! The feeling was out of this world and cannot be explained. In 20 minutes we reached tower 8 where we alighted from cable car to take chair lift towards GMVN Complex, Auli. The lift at the tower is not functional since ages but operator helped us to get our luggage down and walked towards chair lift. 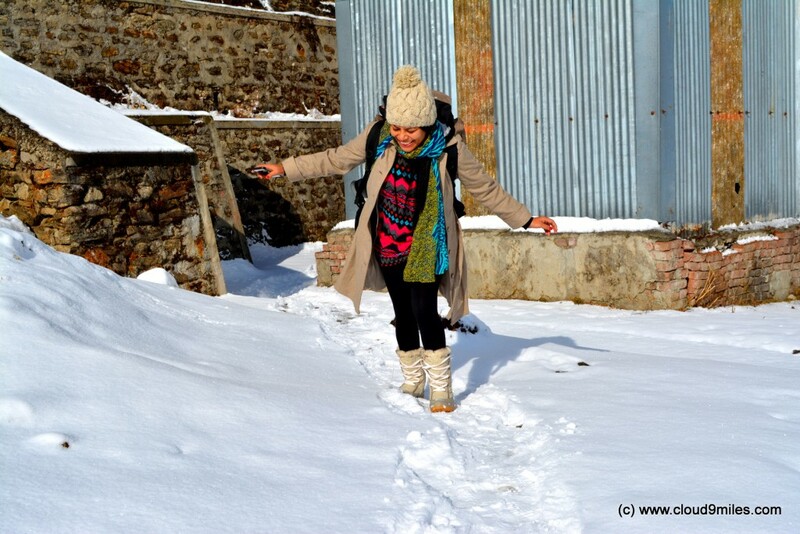 The first expression of Shree after putting her first step on fresh snow was a sight that was worth the effort. We crossed the skiing trek laden with fresh snow to reach chairlift station. We boarded chair lift and started our descent to tourist complex. The travelling time to cover the distance of 800 mts was 5 minutes and separate ticket needs to be purchased to avail the services. Chair lift also has its own unique experience with panoramic views everywhere. 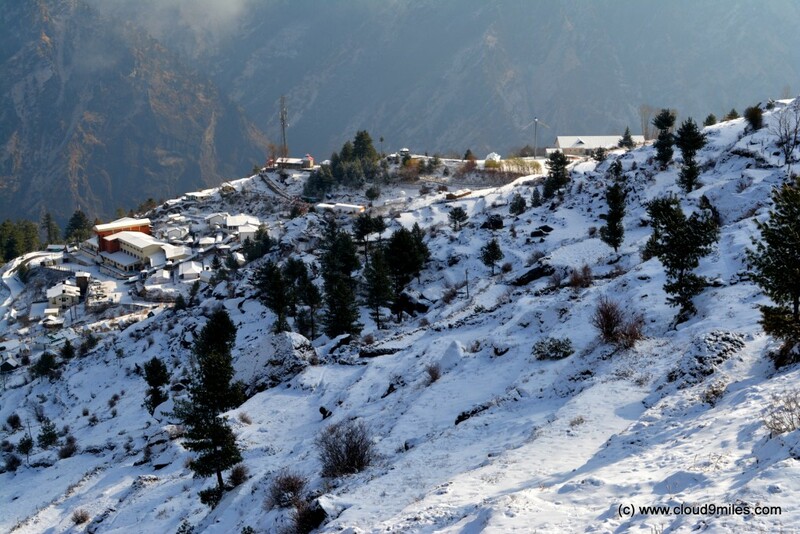 Auli is also connected by road from Joshimath but during heavy snowfall the road gets closed. GMVN complex has 2 resorts i.e. 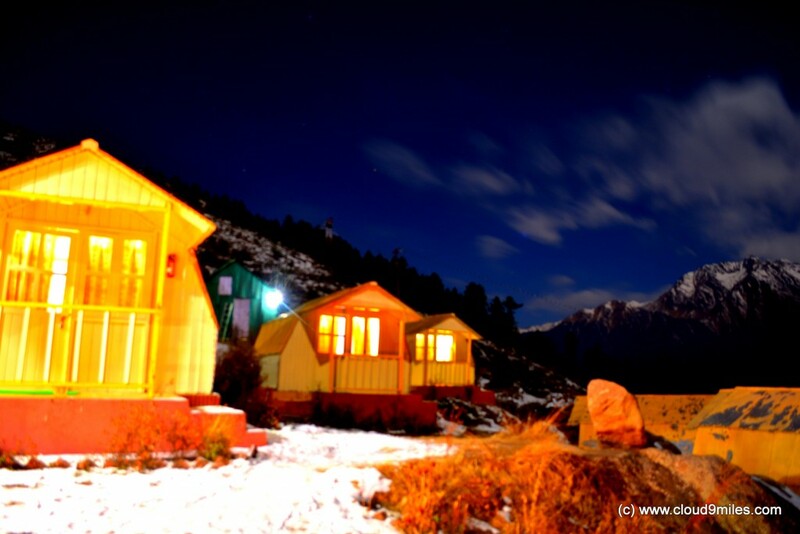 one operated by GMVN and the second Auli Resort. 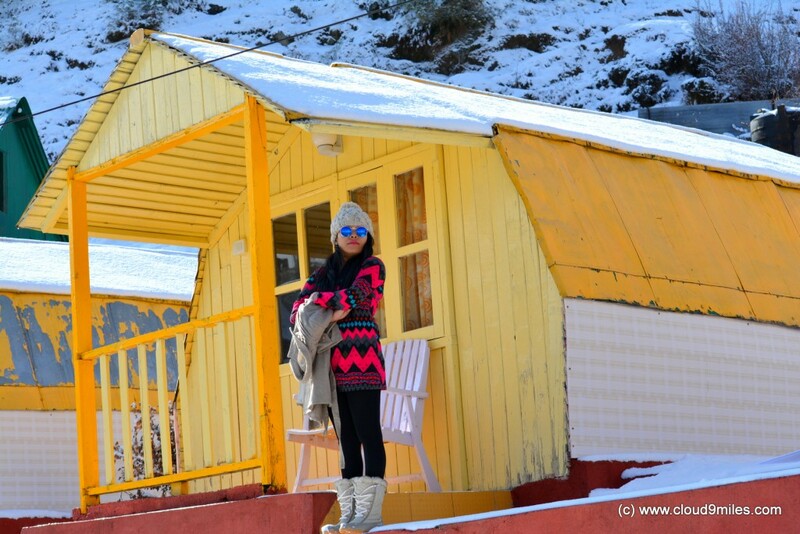 The beautiful cottage of Auli Resort nestled in the lap of nature was our address for three days. We checked into our cottage and immediately started our sojourn to this beautiful meadows nestled in snow capped peaks of Himalaya. We reached the base of the ski slope and slowly started ascend towards the top. 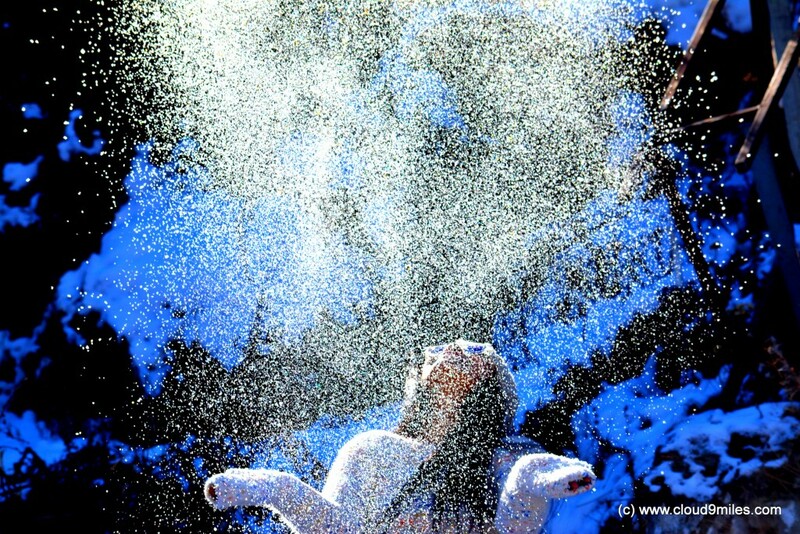 We were enjoying the eternal bliss of the snow. Walking through the fresh snow and leaving behind footprints was a sight that will remain in our heart forever. We were moving ahead with a steady pace as at high altitude it’s better to get acclimatized first to the harsh conditions especially low temperatures and low level of oxygen. Finally we reached the upper deck of chair lift from where we can see the peaks standing tall and making a bold statement about their enormity. We spent our day trekking and soaking the beauty of the place. We went near the man-made lake which is claimed as the highest artificial lake in the world. We also came to know about it that this is being used to create artificial snow during Winter Games if it doesn’t snow enough. The conditions for skiing are perfect at Auli. A 500 m long ski-lift and an 800 m long chair-lift link the upper and lower slopes, and snow beaters and snow-packing machines maintain the smoothness of the slopes. We spent some time near the lake and captured the beauty of the place. By that time the sun has disappeared and the climate started getting cold very rapidly. Considering it was our first day we decided to get back to our cottage and spend the evening admiring the nature. 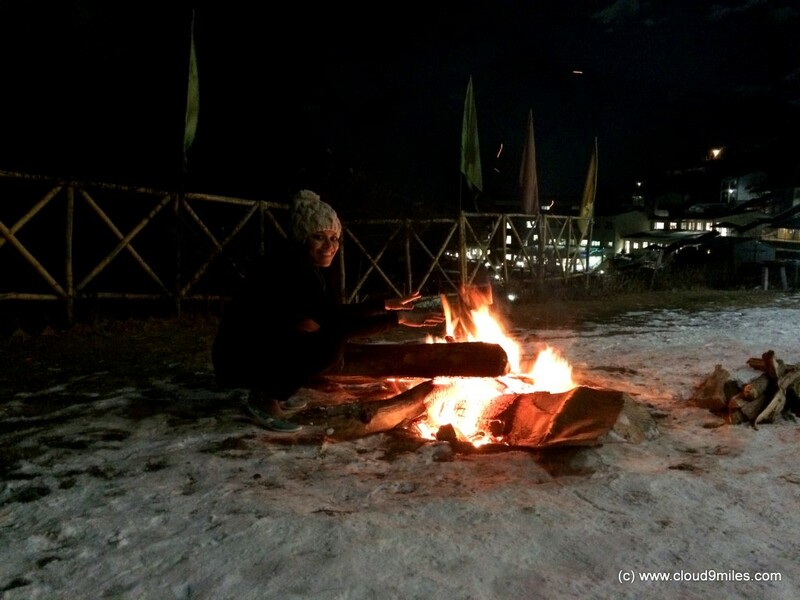 We checked the temperature at 9 p.m. and it was -8 degree Celsius. Next day morning when we woke up, we couldn’t believe that the water in the pipe has frozen. We were supplied with buckets of warm water by the resort staff. 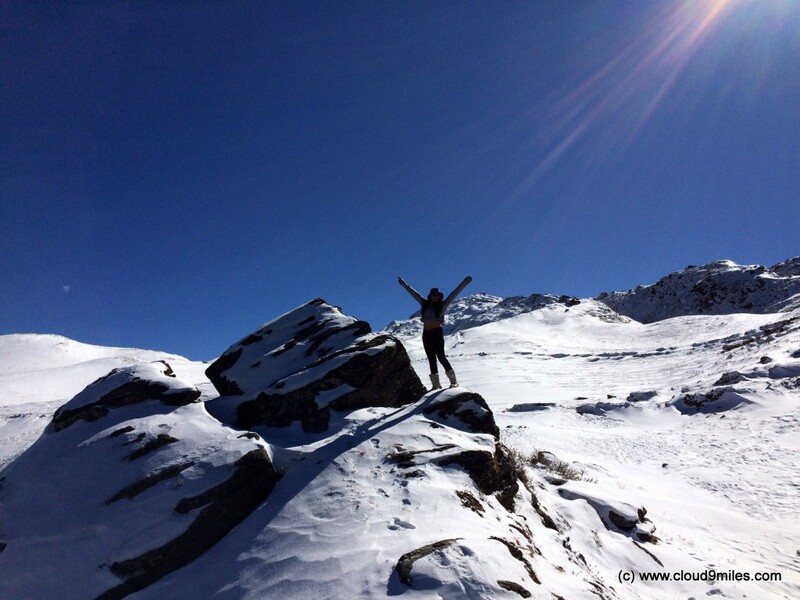 On this day, trekking and skiing was on our wish list. We took the chairlift to reach upper deck and took a guide for trek. 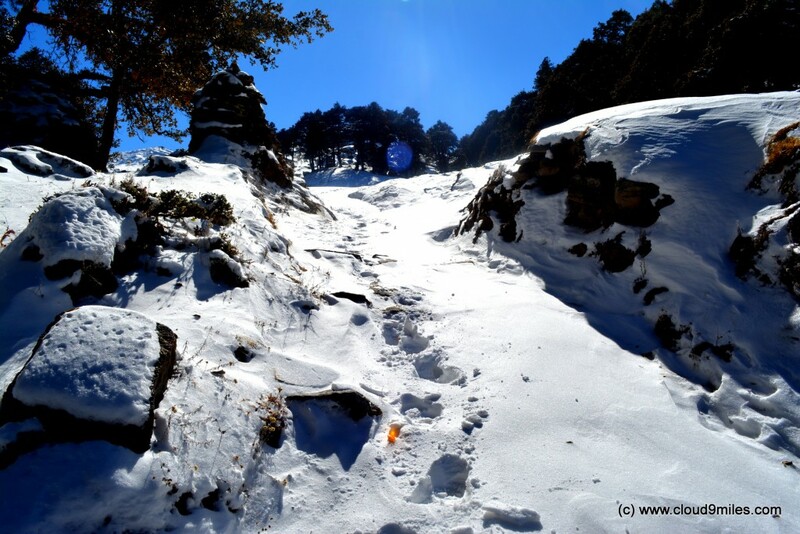 We trekked to Garson Point a 5 KM trek through forests and snow laden route. 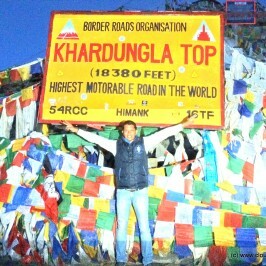 We reached Garson Point in 2 hours which was at an altitude of 3568 mts. This place was covered by almost 1 feet of snow. En-route to and at Garson Point we had majestic view of the mighty Himalayas as well as its peaks which included Nanda Devi (7817 m second highest peak in India), Mana Parvat (7273 m) and Dunagiri (7066 m). 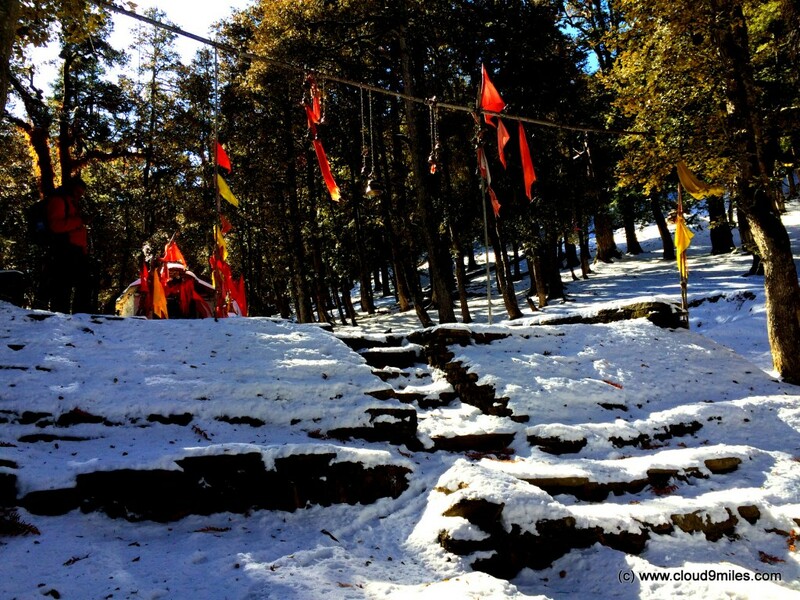 There was a temple in the middle of the forest where locals offer prayer for snow showers. The feeling after reaching the peak and a panoramic view from there was the ultimate experience of our trip. 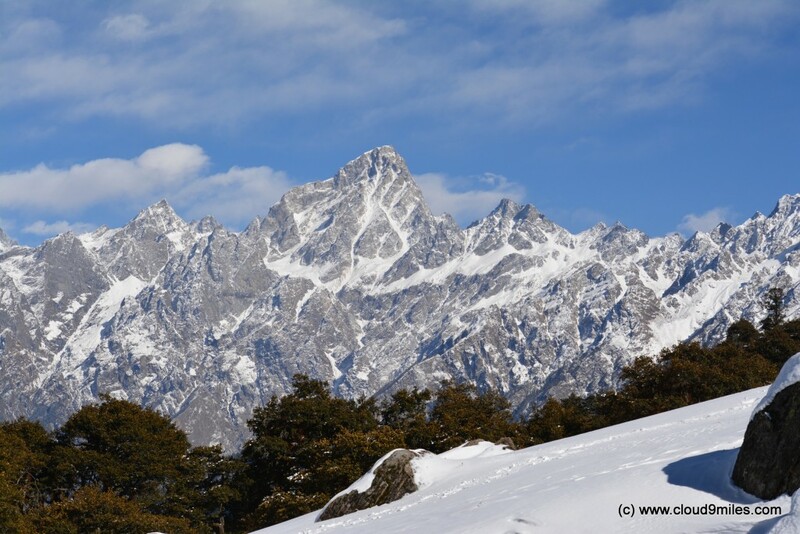 After spending some time over there we started descend towards Auli and came back in an hour. We dropped the idea of skiing, as now we want to learn it by joining the skiing course offered by GMVN. We had some snacks at a make shift shop and started our trek through snow way back to resort. Since it was Christmas a bonfire was arranged for the guest after dinner and we thoroughly enjoyed our evening. 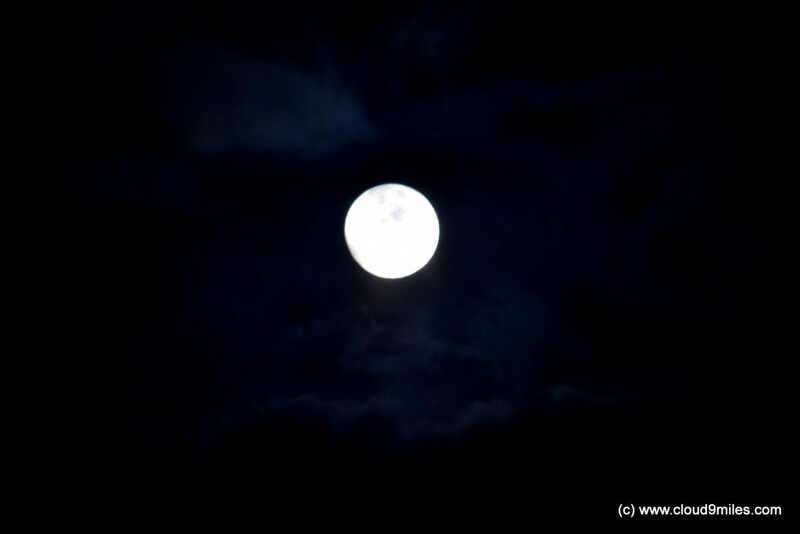 We did some photography on a clear night and felt like we were more proximate to stars as compared to plains. Nothing specific was planned for the next day but we just wanted to spoil ourselves in these beautiful hills by doing every possible activity. 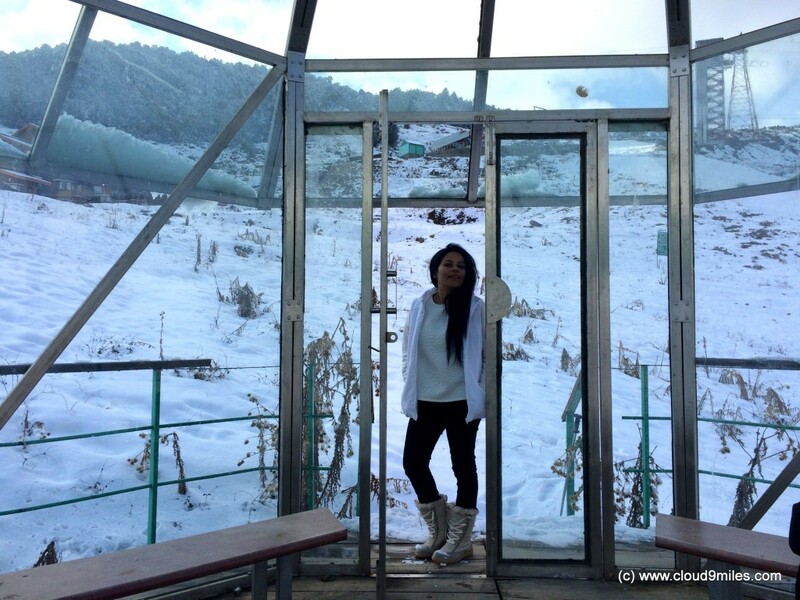 We reached the top through chair lift; started trekking and roaming around the place. 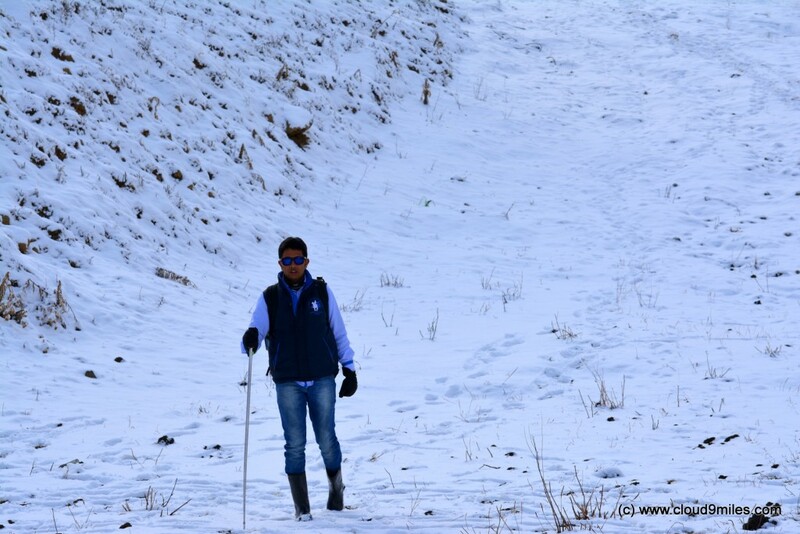 We trekked through some of the tough terrains as well. Throwing snowballs at each other was a great fun. We ran, sat, rolled, glided, and did few crazy things with the snow. We made a snowman as well and spent the whole day in snow laden meadows without even realising that it’s time to get back to our cottage. 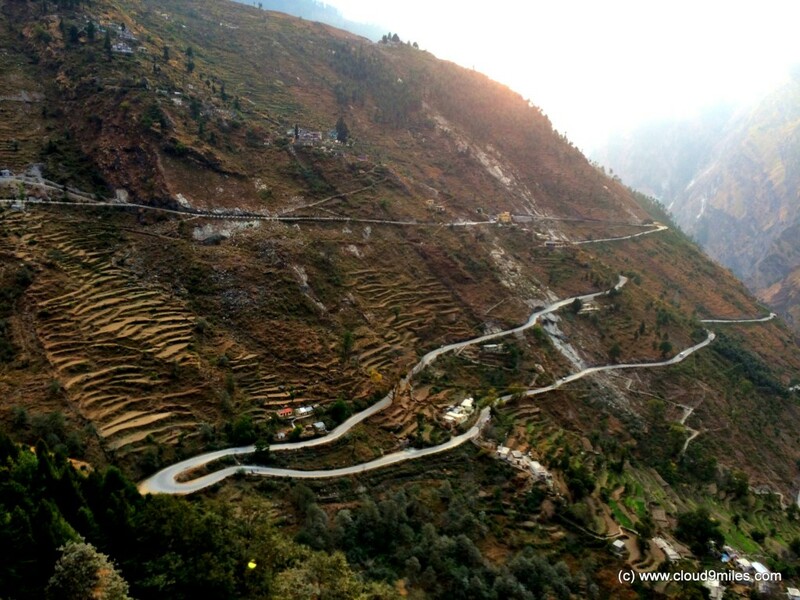 We started missing Auli merely by the thought of leaving the place. 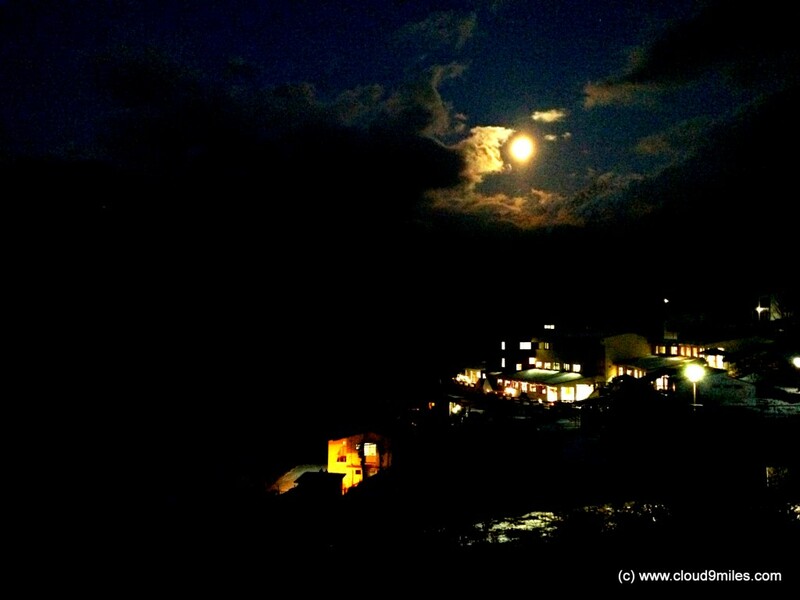 We spent a quiet evening in our cottage and packed our bags for our return journey to Joshimath. We checked out at 9:30 am in the morning and reached the chairlift station from where we reached the 8th tower of cable car. 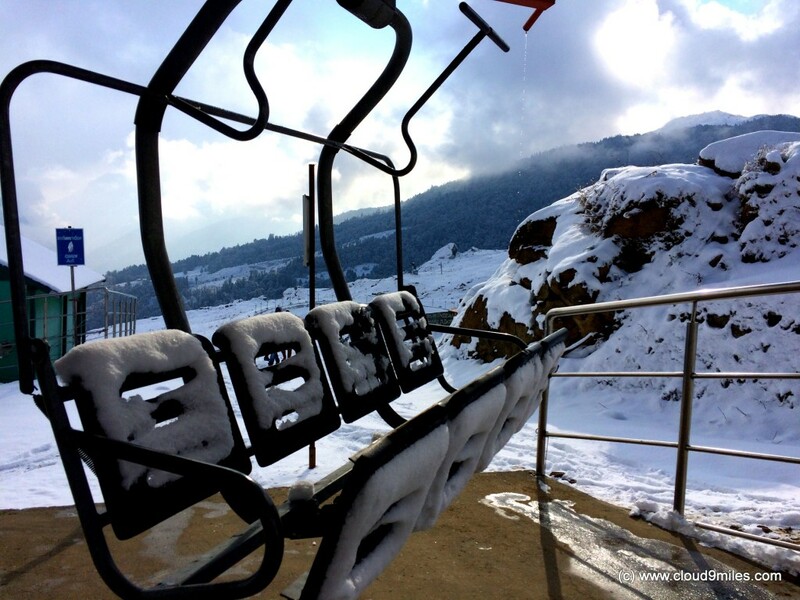 Finally, we boarded the cable car and bid adieu to Auli to come back again for skiing course. 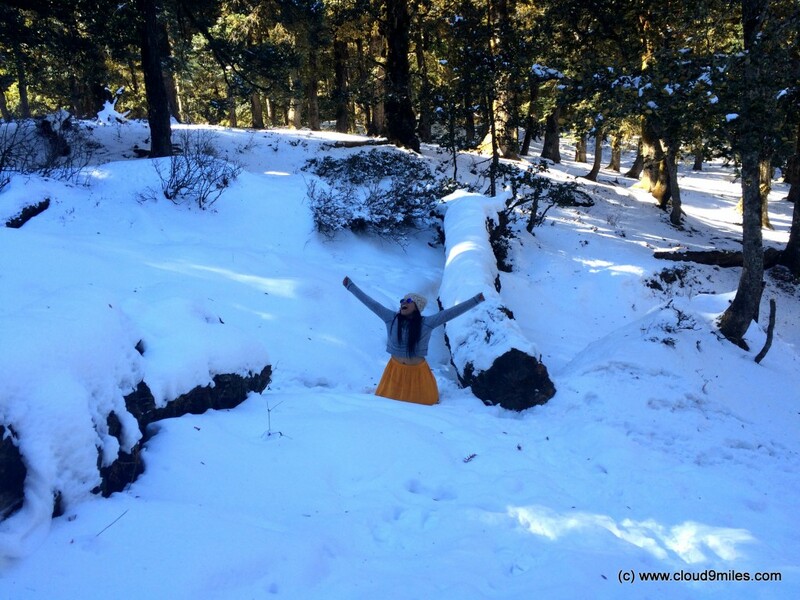 We stayed for three days at Auli and every moment was special. It was a dream come true trip and everything fell in place as per our whims and fancies. We tested our endurance with harsh conditions and conquered our quest. 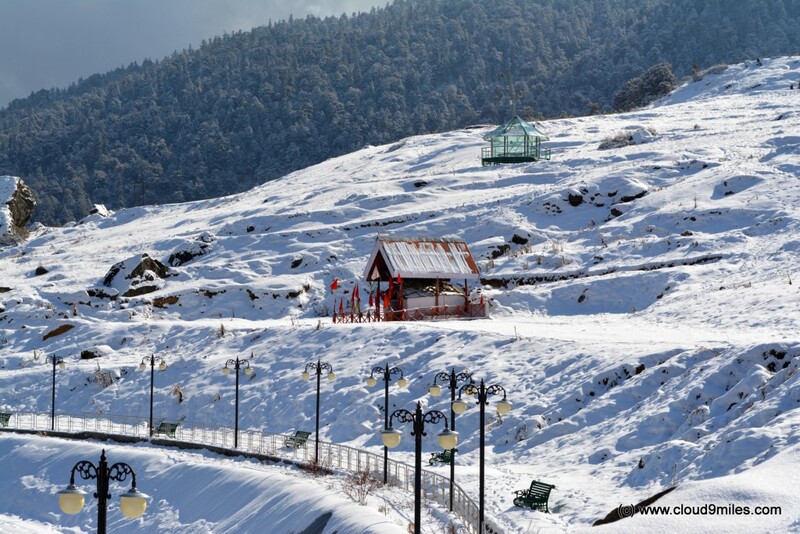 While its slope has enough thrill to daring and gallant skiing enthusiasts, its pristine beauty and alpine atmosphere has pure aura that rejuvenates everyone. The slopes at Auli provide spectacular view of the lofty mountain peaks like Nanda Devi, Mana Parvat, Dunagiri, and Kamat. The breathtaking view of meadow covered in blanket of snow will always remain embedded in our heart till eternity. It’s very difficult to explain our experience in words but can only be experienced. We were fully satisfied by the services of the resort and room service was excellent, the staffs were very friendly and courteous. Best time to Visit: Throughout the year except monsson. 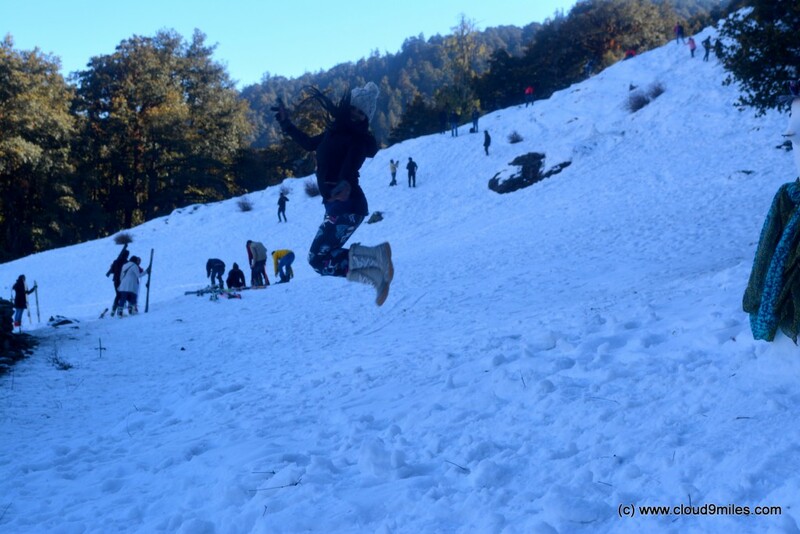 But if you want to enjoy the eternal bliss of the snow the visit Auli from December end to March. 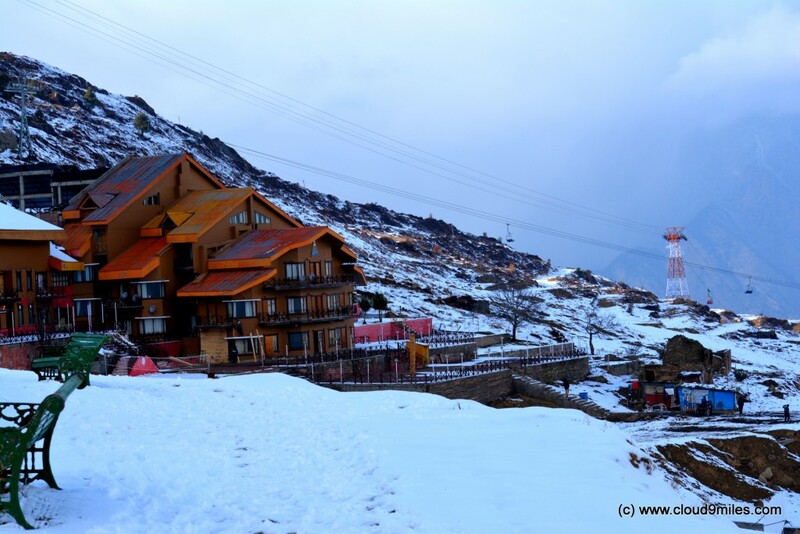 Auli is accessible from the Joshimath via road and Cable Car. During winters after heavy snowfall road is closed and only option left is cable car. 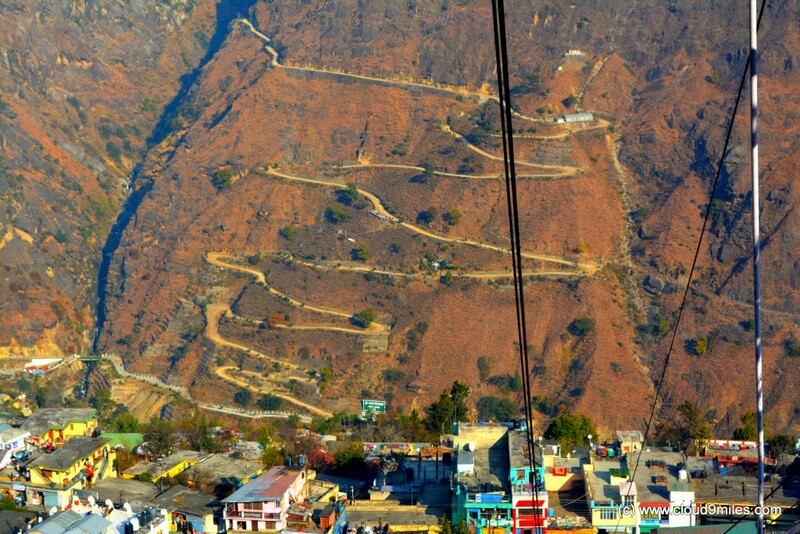 Joshimath is connected by road and is 291 KM from Haridwar. Union buses and Uttarakhand Transport buses ply on this route. Haridwar is connected from major cities by rail and road. Only 3 options are available at Auli. 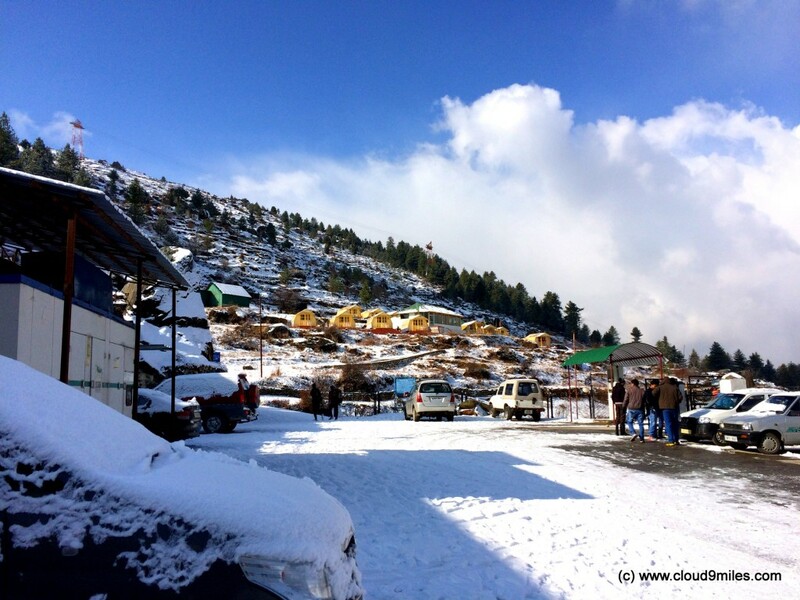 Cliff Top Resort is near tower 8 and 2 resorts are at GMVN Complex (Auli Resort and GMVN Tourist Guest House) which is connected by chair lift from tower 8. Bring heavy woollen clothing like caps, socks, gloves, mufflers, pullovers, trousers, wind proof jackets, dark glasses, gum / snow boots, sunscreen lotion, moisturiser, and a torch. Snow / gum boots, gloves, sticks, are available on rent as well. Badrinath, Kedarnath, Hanuman Chatti, Hemkund Sahib (Gurudwara at Hemkund), and valley of flowers can be accessed during summer and autumn as roads are closed in winter. 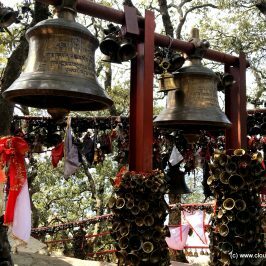 Tapovan and Joshimath are accessible throughout the year. 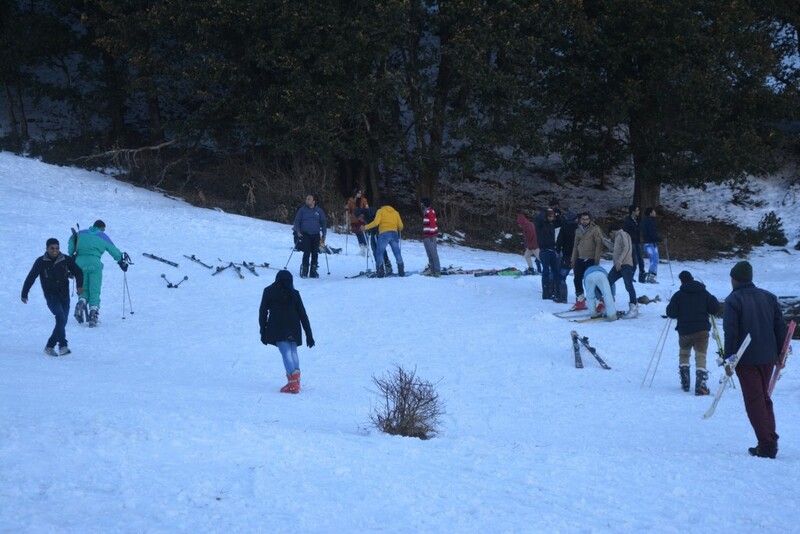 Auli is considered as skiing capital of India and one can indulge into this activity in winters i.e. from Jan till March. Summers open the door for various treks in the Himalayan region. What an awesome super white christmas. Auli has these skiing classes. Did you take them? Absolutely super white christmas. We have decided to take the week long course of skiing. 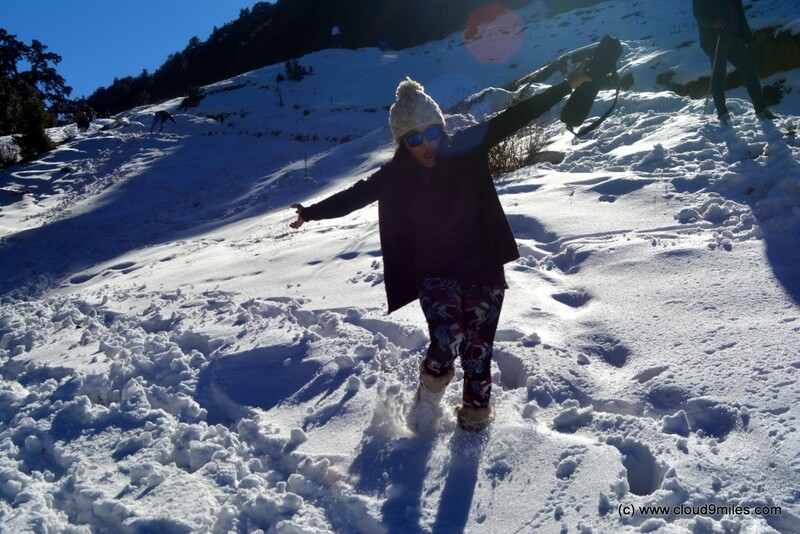 Indeed Amit…we enjoyed every bit of our stay at Auli! Looks like a paradise indeed. I have to experience this. Great account of your travel. A lovely set of pictures! Been to Auli but not in winter. Your pics tempt me to! Thanks Mridula! A place that should not be missed in winters!